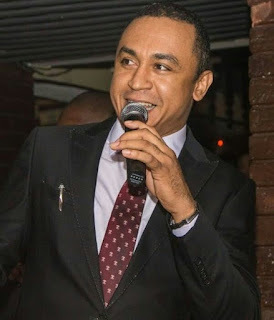 Controversial OAP, Daddy Freeze, has reacted to pastor who is selling prophetic prayer recharge card to his members for 200 naira. We earlier reported that a Nigerian Twitter user identified with the handle, @thisisChibuzor took to the platform to share photos of a prophetic prayer recharge card being sold to church members of Canaanland Adoration Ministries. 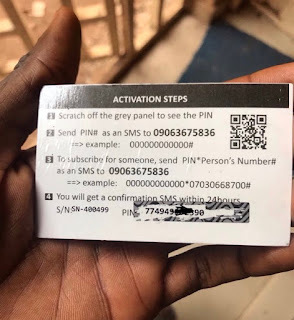 The Prophetic prayer recharge card which is sold to church members for #200, has an option of subscribing for someone. @thisisChibuzor shared photos of the card and wrote: ‘It’s 2019, praying for yourself is no longer enough, you have to subscribe too! It’s heavenly subscription. 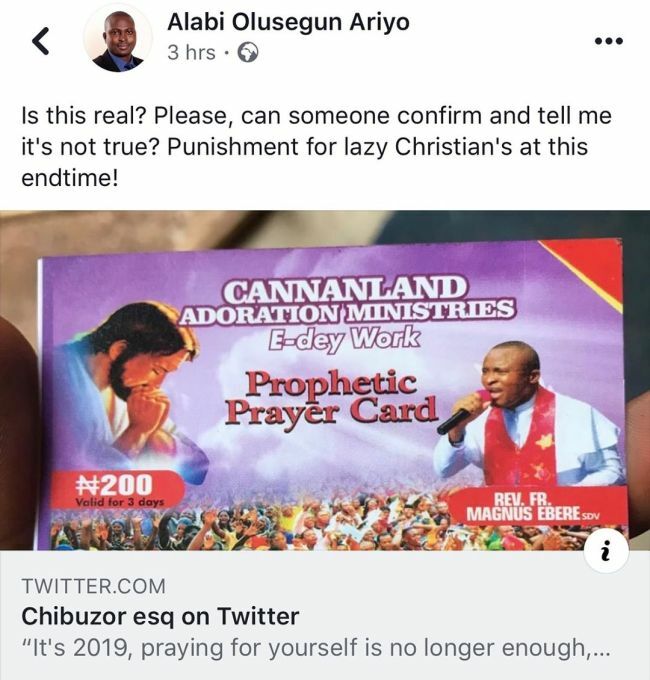 Imagine going to hell because we refused to subscribe. Freeze took to his IG page to share a photo of the prayer recharge card and wrote; ‘Hurry, let’s buy recharge cards to pray to white Jesus’.